Manuel Muñiz is a jurist and an international relations scholar. 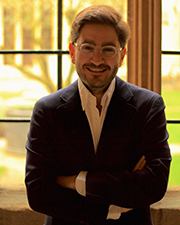 He is the Director of the Program on Transatlantic Relations at Harvard University’s Weatherhead Center for International Affairs where he leads activities and research on US-Europe relations. Dr. Muñiz’s research interests fall within the fields of innovation and disruption, geopolitics, and regional and global governance. He has undertaken research on processes of cooperation and integration in Europe and the North Atlantic with a view to understanding how states tackle interdependence and complexity. Dr. Muniz is a local affiliate of the Minda de Gunzburg Center for European Studies at Harvard University and a member of the Alumni Board of Directors of the Kennedy School of Government. He is also a David Rockefeller Fellow of the Trilateral Commission and a holder of the Atlantic Council’s Millennium Fellowship. As Rafael del Pino Professor of Global Transformation and the Director of the Program on Global Leadership at the Rafael del Pino Foundation, one of Spain’s leading philanthropic institutions dedicated to nurturing talent through education, Dr. Muñiz’s work seeks to foster Spanish leadership in the field of global affairs. His work for the Foundation includes the organization of high-level seminars at Harvard University and the University of Oxford, delivering and chairing conferences and lectures in Spain, and the awarding of fellowships for the funding of study and applied research. Dr. Muniz holds a JD (Law) from the Complutense University in Madrid, an MSc in Finance from the IEB, a Master in Public Administration from the Kennedy School of Government, and a DPhil (PhD) in International Relations from the University of Oxford.